YDW is unique in offering students direct mentorship with working professional dancers. Rather than camp counselors, students are paired with mentors who have studied dance in higher education, and are now working in the field as performers, choreographers, organizers, and educators. Mentors provide oversight and safety by living in the dormitory with the students and accompanying them to classes, meals and all evening and weekend activities. Students meet with their mentors one-on-one during daily lunch-time check-ins, and in small groups during nightly hall meetings. We’re pleased to introduce you to our incredible group of 2019 Mentors! Laquimah VanDunk, M.F.A Modern Dance, University of Utah (’14), B.S. Sociology, Austin Peay State University. 2018 Lions Jaw Dance Festival James K. Spriggs Scholarship recipient Boston, MA. Teaches courses at Austin Peay State University that include Modern Dance Technique, Dance Improvisation, Dance Composition and Dance & Technology. Current Residential Coordinator for the Bates Dance Festival Young Dancers Workshop. Collaborated, performed, and/or toured with David Dorfman Dance, Scotty Hardwig|hardwigTanz, Raja Feather Kelly, Lisa Race, Doug Varone and Gesel Mason. Presented choreography in Tennessee, Salt Lake City, Kunst-Stoff Arts San Francisco, Chez Bushwick New York City, American College Dance Association, Austin Peay State University, University of Utah, Arizona State University, and Bates College Lewiston, Maine. 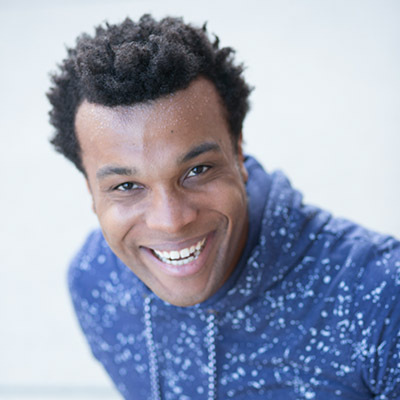 Curtis Thomas began his training with the New Orleans Ballet Association’s Center for Dance. He has since trained in many movement languages, modalities, and philosophies, receiving his BFA in dance from The Boston Conservatory. Professionally he has worked with companies such as Dawson Dance SF, TU Dance, and New Dialect. He is also a proud member of the Juntos Collective, an organization committed to international community building through dance. Julie Crothers is a freelance dancer, choreographer, and educator based in Oakland, CA. Born and raised in Nashville, TN, Julie studied dance and arts administration at Elon University in NC. Professionally, she has danced with AXIS Dance Company, Sarah Bush Dance Project, and Renay Aumiller Dances. 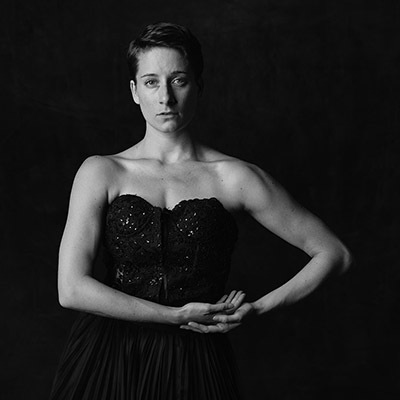 In 2018, Julie was selected as Emerging Artist in Residence at Shawl-Anderson Dance Center, Summer Artist in Residence at Deborah Slater Dance Theatre’s Studio 210, Feedback Artist in Joe Goode Performance Group’s Feedback Program, and as a choreographer in AXIS Dance Company’s Choreo-Lab. 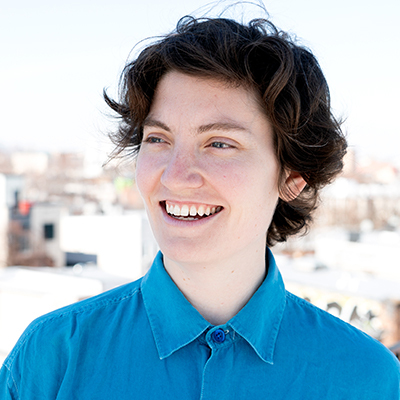 Delaney McDonough is a performer, producer, and educator based in Brooklyn. Their dance/storytelling collaborations have been presented by La MaMa & East Village Dance Project (NY), Triskelion & NOGO Arts (NY), FRESH Festival (CA), Studio 303 (Montreal), Vermont Performance Lab (VT), among others. Delaney serves as Technical Director for FRESH Festival (CA), Lion’s Jaw Festival (MA), and Performance Mix Festival (NY). They are the former Co-Director of two Maine arts spaces, Denmark Arts Center and The Living Room. While in Maine, Delaney also taught dance and improvisation throughout the state including two semesters as guest teaching artist at Colby College. Rebecca Steinberg is originally from Danvers, Massachusetts. She received her BFA in Dance and BA in Psychology from the University of Massachusetts at Amherst. Upon graduation she lived in Israel and danced in Vertigo Dance Company’s International Training Program. Rebecca was a freelance artist in New York before joining New Dialect in 2015. She has performed in works by Ohad Naharin, Hofesh Shechter, David Dorfman, Doug Varone, Inbal Pinto, Roy Assaf, Bryan Arias, Joy Davis, Idan Sharabi, and Noa Zuk. In addition to performing, Rebecca is a choreographer and dance educator. She has most recently been commissioned to create work for New Dialect, Nashville Ballet, and Middle Tennessee State University. She has taught workshops and master classes across the country to young dancers, adults, and professionals for over a decade. Most notably she has worked with dancers through various education programs at Perry Mansfield Performing Arts School & Camp, New Dialect, Mark Morris Dance Center, Bates Dance Festival, and Jacob’s Pillow Dance Festival. Alfonso Cervera is an academic professor, dancer, and performer currently based Wisconsin. 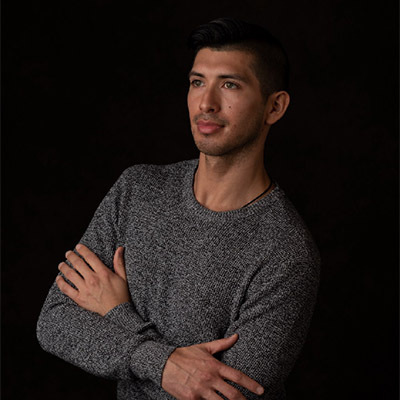 Originally from CA, Cervera accepted a position at the University of Wisconsin-Whitewater as an Inclusive Excellence Fellow where he shares his research of incorporating his Mexican-American experience and Folklorico somatics as a methodology and practice of identity. Developing his own technique “Poc-Chuc,” a contemporary technique that weaves post-modern dance and Mexican Ballet Folklorico together, Cervera explores concepts of exhaustion, labor, and sociality in his works. His works have been presented at the Judson Church, FLACC Festival, REDCAT, Highways Performance Space, Bushwick Studios, and in Tijuana Mexico. Symara Johnson, a Portland Oregon native, has immersed herself in choreographic studies globally. Her work varies due to the different influences she’s embraced throughout her life. She has studied on the island of Trinidad and Tobago indulging in Caribbean folk dance, traditional Indian dance, and more. She spent two years gaining a diploma in modern choreography at the renowned Beijing Dance Academy in Beijing, China. She has also served as a resident artist at Bearnstow. Symara is now currently finishing up her B.F.A at SUNY Purchase college where she majors in dance and has a concentration in composition. Chloe London is a dance performer and dance maker originally from NYC. Chloe holds a BFA from SUNY Brockport. 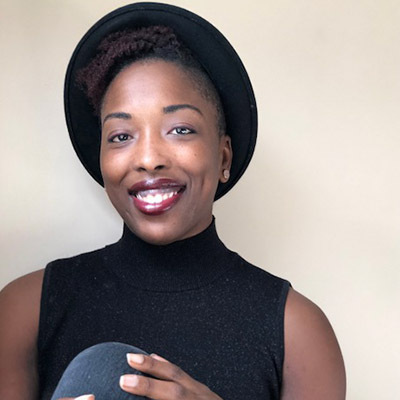 After college, she trained her writing and administration muscles at Jacob’s Pillow Dance as a Press/Editorial Intern and Movement Research as a Programming Intern. Chloe has performed in works by Madeline Kurtz/MK Rep, Hunter Darnell, Young Dancemakers Company Alumni Ensemble, Lou Mandolini, Elizabeth Furman, East Village Dance Project, Nikki & The Noise, and in multiple works by Merce Cunningham as part of the Cunningham Trust. London currently dances for Tammy Sugden-Carrasco/Wild Beast Dance, Maddie Kurtz/MK Rep, Lexie Thrash, and Justin Bass. Her choreography has been presented and commissioned by Movement Research’s Fall Festival, LUNGS Harvest Festival, Sans Limites Dance Festival, WaxWorks at Triskelion Arts, Current Festival, East Village Dance Project, Small Plates Dance Festival, Split Bill Series at Triskelion Arts, Dixon Place’s Under/Exposed Series, WestFest, and Composers Concordance. 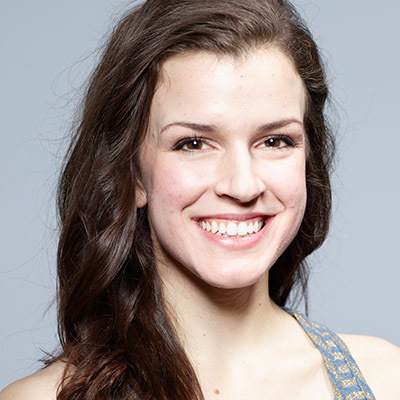 Emilia, originally from Lake Zurich, IL, is a recent graduate of the University of Minnesota – Twin Cities with degrees in Dance and Kinesiology. 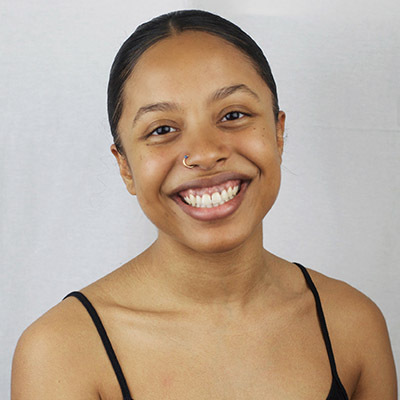 As a current resident of Minneapolis, Emilia humbly expresses her artistic passions as a member of Zenon Dance Company, Shapiro & Smith Dance Company, and the newly established and developing Slo Dance Company. 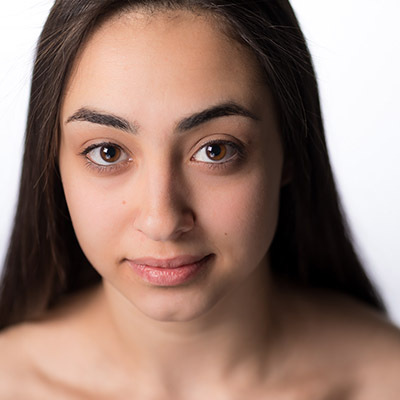 This is Emilia’s second time participating in the Bates Dance Festival, and she feels great joy to be offered the opportunity to mentor for the Young Dancers Workshop and immerse herself in the ever-loving festival community.